Socrates was famous for his philosophy and his method of elenchus that he used 2400 years back to discuss life related matters and reach logical conclusion that helped the people of his time to go deep into the meaning of life and to improve their lives and the way they think. Today we are in a deeper need to revive the Socratic Method and reflect his way of thinking to our life matters which are more varied and complicated than they have ever been for the human kind, any point in history. أتباع سقراط: إشتهر فلسفه سقراط بأسلوب إلينخوس "مجادلة الاعتراض" الذي استخدمه قبل 2400 عام لمناقشة المواضيع الحياتية والوصول إلى استنتاجات منطقية ساعدت الناس من حوله في التعمق بمعاني الحياة وتحسين حياتهم وطريقة تفكيرهم. اليوم نحن في أشد الحاجة لاإحياء الطريقة السقراطية وعكس طريقة تفكيره في حياتنا التي هي أكثر تنوعا وتعقيدا مما كانت عليه الحياة في أي مرحلة من التاريخ البشري. Knowledge is an indication to our proper understanding of the true nature of reality; it is the sum of true justifiable information each of us holds. Epistemology, which is the study of knowledge, seeks to identify as much truth as possible, and to avoid as much falsehood as possible. The theory of knowledge identifies the areas of knowledge, the ways of knowing, and all factors that transcend those two fields just like faith, and culture. 1- Distinguish between believes, opinions, and facts, to be able to respect believes, accept (or debate) opinions, and share researched facts. 2- Avoid judging facts, opinions, and other believes based on our own believes in order not to imprison the Galileo Galilei in people around us. 3- Spread only information that can be supported via references and build up strong reliabilities in our networks. 4- Recognize wrong cultural practices and know that there are much more accurate measures for our knowledge than the opinion of the majority. 5- Seek first to understand then to be understood, and expand your knowledge of linguistic semantics, logic, and emotional intelligence. 6- Reflect in our selves and our lives to know what we stand for, and then seek improving our passions toward becoming experts in them. 7- Read, and be open for new and updated knowledge that is researched to a closer extent of the ultimate truth. “The Book of General Ignorance” is an interesting attempt to address and correct a set of misconceptions, mistakes, and misunderstandings in our common knowledge. This book also explains how the knowledge errors have been perpetuated, and why people believed them to be true. So continue your search into true and false knowledge, and find out who is wise, and who pretends to be wise, and is not! التالي هو خلاصة استنتاجية لما تم طرحه مسبقا في موضوع "هل أنت أبو العُرِّيف؟"
المَعرِفة هي مِقياس لمَدى فهمِنا لحقيقة الواقِع، وهي مجموع المعلومات الحقيقيَّة والمُبَرَّرة التي نَعرِفُها. تَسعى دِراسات نَظرِيَّة المَعرِفَة لتَمييز الحَقيقة ولِتَجنُّب الكَذِب بأكبر قّدر مُمكِن. تِحَدِّد نظرِيَّة المَعرِفة مجالات المَعرِفة وطُرُق المَعرِفة وكل العوامل الأخرى التي تَتعدَّى مجالات وطُرُق المَعرِفة كالإيمان والمُجتَمَع. 1- التمييز بين الإيمان والرَأي والواقِع لِنَتَمَكَّن من إحتِرام الإيمان وتَقَبُّل الآراء (أو مُجادَلتِها) ونَشر الواقِع المَلموس. 2- تَجَنُّب الحُكم على الواقِع والرأي والإيمان بِناءا على إيمانِنا الشَخصي، لكي لا نَأسُر ال"جاليليو جاليلي" في الأشخاص من حَولِنا. 3- نَشر المعلومات التي يُمكِن دَعمها بالمَراجِع فَقَط، وبِناء مِصداقِيَّة قَوِيَّة في شَبكاتنا الاجتِماعيَّة. 4- تَمييز المُمارَسات الإجتِماعيَّة الخاطِئة، والتَسليم بوُجود معايير أدَق للمَعرِفة من رأي الأغلبيَّة. 5- السَعي للتَفَهُّم أوَّلاً، ثمَّ أن نُفهَم. يُرافِق ذلِك تَوسيع مَعرِفتنا بعِلم الدَلالة اللُغَويَّة والمَنطِق والذكاء العاطِفي. 6- التُفَحُّص في ذاتِنا وفي حَياتِنا لتَمييز اهتِماماتنا والسعي لتَطويرها والتَوَجُّه نَحوَ الإختصاص بِها. 7- القِراءة وتَقَبُّل المَعارِف الجديدَة والمُحَدَّثة المَدعومَة بأبحاث أدَق وأقرَب للحقيقة المُثلى. يُمَثِّل "كتاب الجَهل العام" مُحاوَلة جَيِّدة لِتَصحيح مجموعة من أشهَر المَفاهيم والمَعلومات الخاطِئَة أو التي أسيئ فَهمُها في حياتِنا. يُفسِّر هذا الكتاب أيضاً كيفِيَّة حصول هذِه الأخطاء المَعرِفيَّة وأسباب تَصديق الناس لها. فاستَمِرُّوا بالبَحث بالمَعارِف لِتَتَبَيَّنوا منها الحقيقي والكاذِب، ولِتَكتَشِفوا من هو الحَكيم، ومَن الذي يَتَظاهَر بالحِكمَة، وهو على عكسِ ذلِك! Have you ever shared your knowledge with people around you in one or more of the following? - Shaving causes hair to grow back thicker. - We only use 10% of our brain. - Golden fish has a three-second memory. - The Great Wall of China can be seen from the moon with the naked eye. - Jordan has the world’s shortest national anthem. - Alexander Graham Bell invented the telephone. - French people invented the Champaign, the French toast, and the French fries. If yes, then you have been participating in spreading false knowledge around the world, for none of the above information is true! Of course this is just a tiny sample of know-it-all lines people say on daily bases, for if you google everything you say or consider as knowledge, you will quickly learn how wrong information can be, even the obvious ones like saying that humans have only five senses, or that the states of matters are just three, or that the earth has one moon, or even that the speed of light is constant! 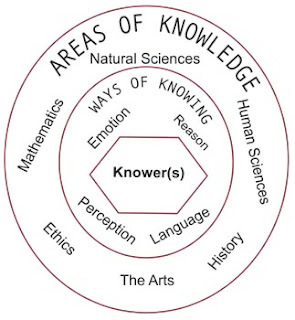 How would you define the word “knowledge”? What do you think about sharing false knowledge? How to avoid it? Do you believe that being smart or sociable, one has to know-it-all? And how is not this the most reprehensible ignorance, to think that one knows what one does not know! - الحلاقة المتكرِّرة تجعَل الشعر أخشَن. - الإنسان يستخدِم فقط 10% من دِماغه. - ذاكِرة السمكة الذهبية تمتَد لثلاث ثواني فقط. - تستطيع رُؤيَة سور الصين العظيم من على سطح القمر بالعين المُجرَّدة. - النشيد الوطني الأردني هو الأقصر في العالم. - مُختَرِع الهاتِف هو ألكسندر جراهام بيل. - إِختَرَع الفرنسيين الشامبانيا والتوست الفرنسي والبطاطا المقلِيَّة. إذا أجبتَ بنَعَم، فأنت قَد ساهَمت بنَشر مَعارِف خَاطِئَة حول العالَم، فإنَّ كُل المعلومات المّذكُورة بالأعلى غَير صَحيحة! بالطَبع تُشَكِّل هذه المعلومات عَيِّنَة صغيرة جدًا من التَصَرُّفات اليومِيَّة لشخصِيَّة أبو العُرَّيف الموجودة في حياتنا، فإذا بَحَثت وتَفَحَّصت بكل ما تقوله أو تُصّنِّفه كَمَعرِفة سَتكتَشِف العديد من المعلومات الخاطِئَة، يَشمَل ذلِك مَعلومات بَديهيَّة كالقَول بأن الإنسان لديه خمسَة حواس فقط، أو أنَّ حالات المادَّة ثلاثة فَقط، أو أن للأرض قَمَر واحِد لا غير، أو حتى أن سُرعَة الضوء ثابِتة لا تَتَغَيَّر! فَكيف لا يكون التالي أساس وقِمَّة الجَهل، إنسانٌ لا يَعرِف، ولا يَعرِف أنَّه لايَعرِف! The following is the summarized conclusion of the question asked in the previously shared topic "Are your reactions hurting you?" 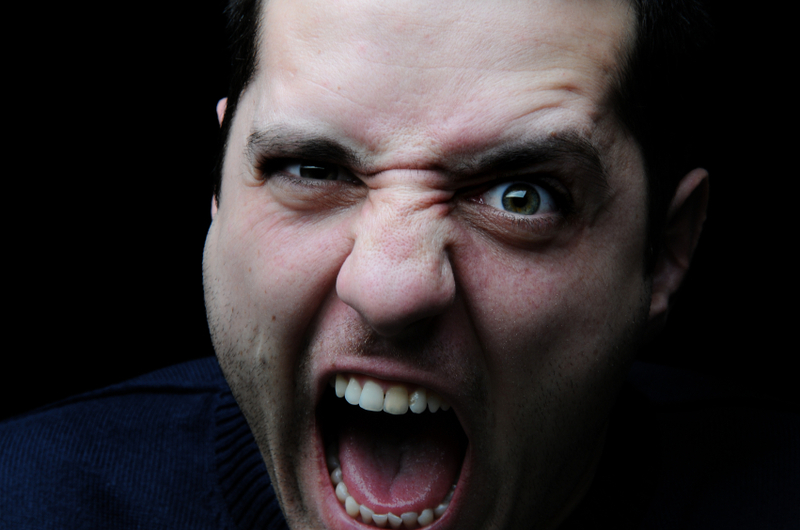 Every person has a set of sensitive emotional buttons that can trigger defensive reactions if pressed. Those buttons are created during our lives from childhood emotional wounds and adulthood unpleasant encounters. The defensive reactions itself is very much related to the human evolution and how our evolved brains reacts to symbolic threats like shouting, just as described in the following video. Indeed we would get better results if we base our actions on cognitive behaviors rather than emotional reactions. Examining our previous negative encounters and learning about what exactly pushes our buttons is the best way to start, and it should be followed by techniques, just like the conflict management styles shown below, to quickly evaluate the situation and decide on our best response. As per Stephen Covey, the author of the best-selling self-help book “The seven habits of highly effective people”, 10% of our lives is made up of what happens to us which we have no control over, while we determine the remaining 90% of it by our reactions. He also introduces in the same book his concept of Emotional Bank Accounts, which defines the level of emotional acceptance we build with each and every person in our lives through our daily encounters, and how those emotional accounts define how much tolerances we have to each other in negative encounters. In order to live a good life, we need to hold on to our positive reactions, and to build up strong emotional bank accounts with people around us. Another solution that concludes all the above would be to adopt The Four Agreements of Miguel Angel Ruiz of being impeccable with your word, not to take anything personal, not to make assumptions, and to always do your best, in addition to The Fifth Agreement, added later by Miguel’s son “Jose Ruiz”, to be skeptical but learn to listen. For God created us with two ears and one mouth so that we can listen twice as much as we speak. لكلٍّ مِنَّا نقاط نفسيَّة حسَّاسة يُوَلِّد لمسها مجموعة من ردَّات الفعل الدفاعيَّة. تَنشَأ هذه النقاط خلال حياتنا من الأحداث المُؤلمة بشكل عام، ومن الجروح النفسيَّة لأيَّام الطفولة بشكل خاص، بينما ترتبط ردَّة الفعل الدفاعية بتاريخ تطوُّر الإنسان وكيفيَّة عمل أدمغتنا المتطوِّرة عند مواجهة أخطار رمزيَّة كالصُراخ كما هو موَضَّح بالفيديو المرفق بالأعلى. سنحصل بالتأكيد على نتائج أفضل إذا بَنَينا أفعالنا على نتائج نشاطنا الذهني بدل أن تتأَسَّس على رَدَّات فعل نفسيَّة. للوصول إلى ذلك علينا أن نبدأ بتَفَحُّص ردَّات أفعالنا من المواجهات السلبية السابقة والوصول إلى المسبِّبات الحقيقيَّة لنقاطنا النفسيَّة الحساسة، ثم أن نتبع ذلك بمجموعة من الممارسات التي تساعدنا على تقييم الموقف بسرعَة وبناء الرَد الأفضل له، كمعايير إدارة المواجهات في الصورة التالية. إستناداً إلى ستيفن كوفي وكتابه الأكثر مبيعاً في فِئة كتب الاعتِماد على الذات "العادات السبع للناس الأكثر فعاليَّة"، 10% من حياتنا تَنتُج من أحداث خارِجة عن سيطرتنا، بينما نحدِّد نحن محتوى ال90% الباقية من خلال ردَّات أفعالنا. يقدِّم الكاتب أيضا في نفس الكتاب مبدأ "الحسابات البنكيَّة النفسيَّة" الذي يحدِّد مستوى القبول النفسي الذي نبنيه مع الأشخاص من حولنا بفعاليَّة تصرفاتنا إتِّجاه كلٍّ منهم، وكيف أن هذه الحسابات النفسيَّة تُحدِّد مستوى التَحَمُّل الذي نواجهه خلال المواجهات السلبية مع كلِّ شخص. لِنَحيى حياة جيِّدة، علينا إذاً أن نُمارِس رَدَّات أفعال إيجابيَّة وأن نَبني حسابات بنكِيَّة نَفسِيَّة قَوِيَّة مع الأشخاص من حولنا. حل آخر شامل يتمثَّل بِتَبَنِّي الاتِّفاقيَّات الأربعة لميجيل إنجل رويز بأن نكون مُتوافقين مع كلماتنا، وأن لا نأخذ أي شيء بصِفَة شخصِيَّة، وأن لا نتَصَرَّف بناءا على تَوَقُّعات شخصيَّة، وأن نسعى دائِما للأفضل، بالإضافة إلى الإتِّفاقيَّة الخامسة المُضافة لاحِقاً من قِبَل جوزي رويز، إبن الكاتب الأصلي، بأن نحتَفِظ بشُكوكِنا ونَتَعَلَّم أن نُصغِي. فقد خلق الله لنا أذنين ولساناً واحداً ، لنُصغي أكثر مما نتكَلَّم. Are your reactions hurting you? Newton’s third law of motion states that the action and reaction forces are equal in magnitude, but opposite in direction. This is true for physical substances; unfortunately, many of us apply it to the way we react and correspond to emotional situations through our day to day lives! 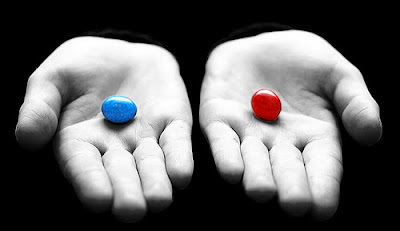 In general, all our actions are considered as reactions one way or another; they are reactions to our existence, believes, thoughts, survival or emotional experiences, but the reactions we want to examine through this question are those that are responses to negative encounters (or at least misunderstandings) we face between now and then. 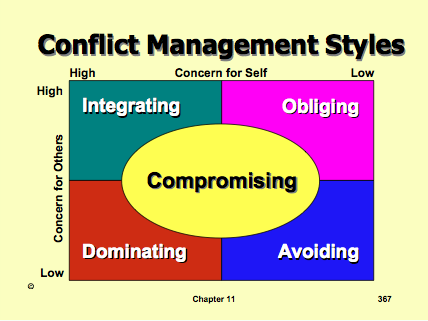 Why do we loose it in certain situations and stay calm in others? 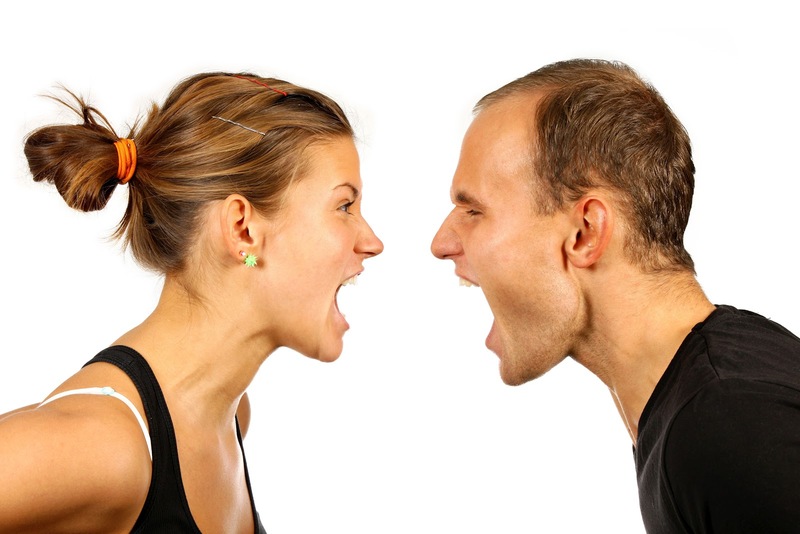 What triggers our short tempers? Are our reactions sometimes hurting us? Could we have had a better day or a better life if we acted differently in certain points in our lives? What do you think is the best way to overcome wrong or quick reactions? What should we base our reactions on, and why? For I wish that ordinary people, who have unordinary abilities to do harm, get an unordinary determination to do good. ينُص قانون نيوتن الثالث بأن لكل فعل رد فعل مساوي له بالمقدار ومعاكس له بالإتِّجاه. هذا القانون حقيقي فيما يتعلَّق بالمواد الملموسة، لكن للأسف أنَّ الكثيرين منَّا يُطَبِّقونه أيضا فيما يتعلَّق برَدَّات أفعالنا اليوميَّة بالأمور المحسوسة التي تمس النفس والعاطفة. بشكل عام تُصَنَّف كُل أفعالنا كردَّات أفعال، فهي تَنبُع من مسَبِّبات وجوديَّة أو عَقائديَّة أو من أفكار أو خبرات عاطفيَّة أو حياتيَّة، لكن يهدف هذا السؤال إلى تفَحُّص ردَّات الفعل المُوَجَّهة للرد على مواجهات سلبية (أو سوء تفاهم على الأقل) نواجهها بين الفينة والأخرى. أتمنى لو أنَّ الناس العاديين ذوي القدرة الغير محدودة لإلحاق الضرر، يحصلون على إصرار غير محدود لفعل الخير. "If each person in there sphere of influence would just step up and do what they could do, I think we could stop almost all bullying"
"لو وقف كل شخص في دائرة التأثير الخاصة به وفعل ما يستطيع فعله لوقف التحَرُّش لإستطعنا القضاء على هذه الآفة"